The artists of the Italian Renaissance created some of the most inspired and revered artworks in the world. And among the masters like Michelangelo and Da Vinci, there were those who pioneered new techniques and blazed new trails in creative metalworking. Take for instance Ghiberti and his famous bronze doors of the Baptistery of Florence. Then there were the highly skilled artists of the Medici circle in Florence who laid the groundwork for expert metalsmithing that’s practiced throughout the world to this day. Like these Italian Renaissance maestros that discovered new ways to summon the beauty from precious metal, the creator of our Valdarno Collection has stepped out and blazed a new trail in jewelry making— creating a new Renaissance of style with metal that appears to bend and move as if made of silk. 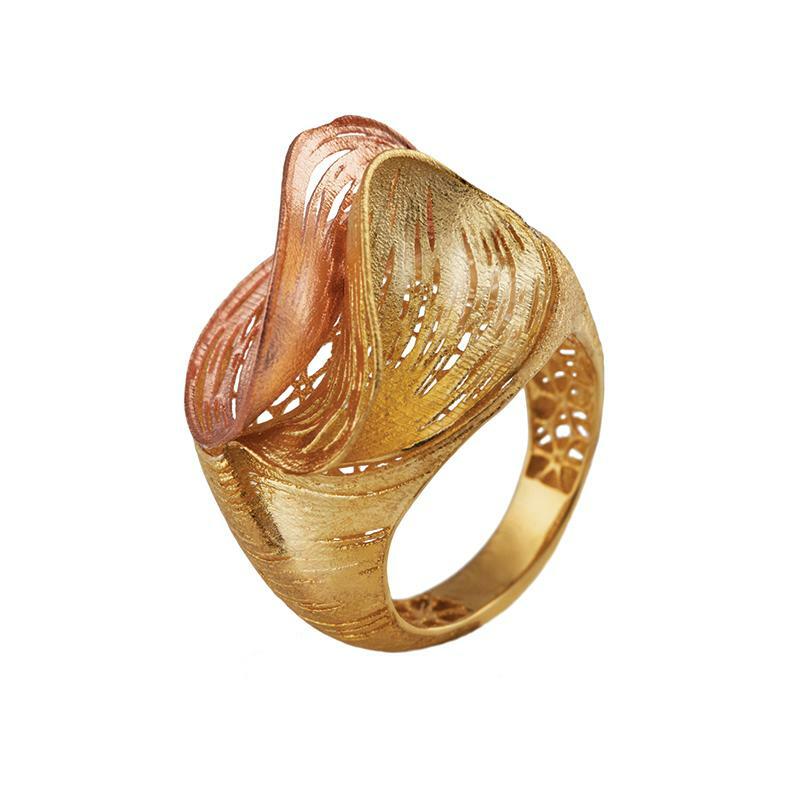 Here our designer Fiorella Cappelli, has created fluid dimensionality merging classic metalworking with 3-dimensional digital printing. As Fiorella explains “to develop and produce in 3D photocasting makes jewelry dreams come true, there's almost no limit to realizing fantasy designs.” The result is a truly unique look you won’t see mass produced any time soon. Many may try copy this cutting edge look, but we doubt they can copy our cutting edge price.